David Druker, M.D., the CEO of the 905-physician Palo Alto (Calif.) Medical Foundation, died July 23 after a three-year battle with lung cancer. He was 68 and a nonsmoker. Druker, a dermatologist, joined the Palo Alto Medical Clinic in 1975 and was present for two important milestones in the organization's 80-year history: The creation of the Palo Alto Medical Foundation in 1981, and its affiliation with Sutter Health in 1993. 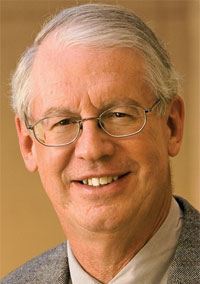 Druker worked as chief operating officer of Palo Alto Medical Foundation from 1994 to 1999 before being promoted to CEO. He served as the 1999-2000 chairman of the American Medical Group Association, and from 2003 to 2006, he sat on the California Medical Association’s board of trustees. Druker lived in Los Altos Hills, Calif., and is survived by his wife, a son and daughter, five grandchildren and two sisters.